Ahh death. Our bodies are fickle things that succumb to a variety of ailments. 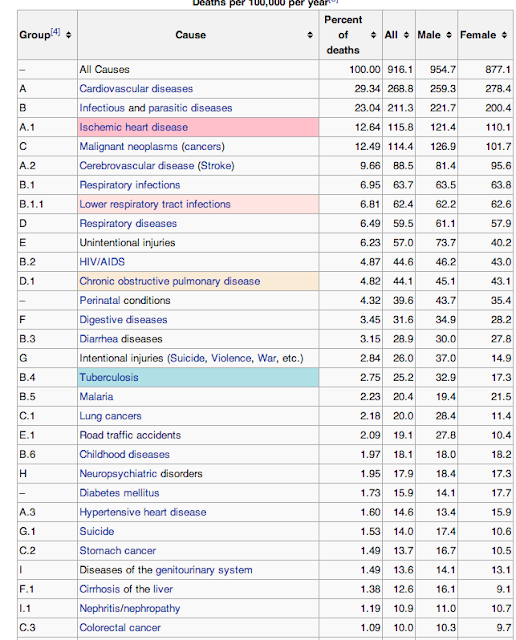 Worldwide, of the top 20 causes of death for all humans, only one is not categorized as a disease. Road Traffic Accidents. 2.09% of the world dies because humans operate machines that kill, and unlike all the other diseases that cause death, this is the only one that gets funding that helps to encourage the problem, not address it. You don't see 5k runs that aim to raise money to stop road traffic deaths from happening. You don't see doctors doing research about how to cure us from road traffic accidents. Instead, you see commercials for bigger, faster cars with little computers in the dash that you can play with instead of paying attention. States build new roads to help ensure that road traffic deaths remain near the top of the list for worldwide deaths. People cry about guns, people fear the "terrorists", but nobody blinks an eye when they get in a car and have to slow down when they pass another road traffic death. I could get into the fact that suicide is near the top 20 and not a disease, or rather is and is caused form industrial society and globalization, but this is a rant about vehicles. 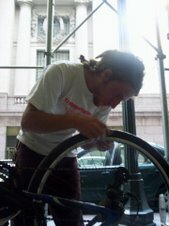 When humans operate motor vehicles, 146,300,000 people are killed every year. Go us.